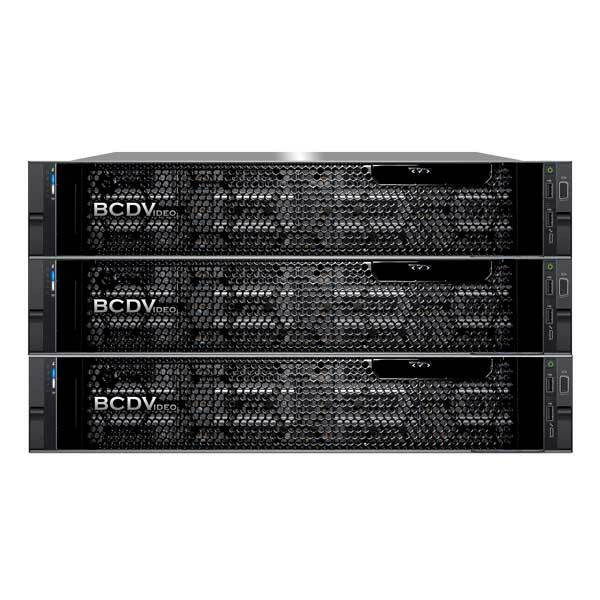 The BCDVideo Hyperconverged Infrastructure for Video Surveillance introduces the security integrator’s answer to adapt to the number of constantly evolving demands in the video surveillance and security industry. Powered by Scale Computing’s HC3 HyperCore software, it enables efficient utilization of hardware that seamlessly scales on-site resources. This Hyperconverged Infrastructure leverages underutilized resources by creating a virtualized resource pool to get the most out of each virtual machine. With industry-leading high availability built into the virtualized platform and at the hardware level, data or performance loss is never a concern. Performance in a virtualized environment is assured with the latest video optimized hardware. The highly available nature of the infrastructure eliminates the overhead in performance caused by RAID 5/6 systems. HC3 HyperCore also ensures maximum video data throughput by optimizing the I/O potential of each virtual machine, regardless of the environment.